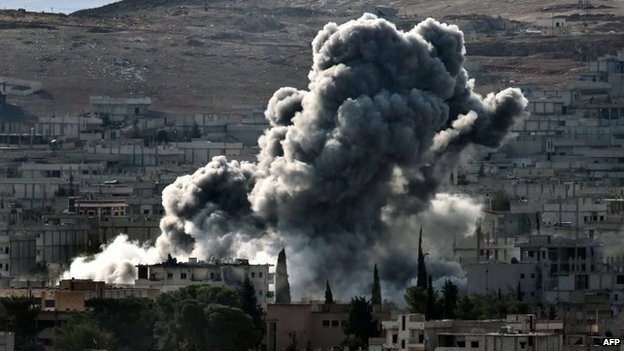 Turkey should do more to help Kurds fight off the IS threat in Kobane, many MEPs said in a debate on the besieged Syrian city on 22 October. They also condemned the violence by IS and said more should be done to tackle the terrorist group and help its victims. Some also raised the potential threat of chemical weapons and said a wider strategy was needed for the Middle East. “The moment has come to indeed adopt a policy with regard to IS,” said Fernando Maura (ALDE, Spain). He also added that it’s time “to exert a diplomatic pressure on Ankara so that it can reconsider its particular policies in the northern part of Syria”. Fabio Massimo Castaldo (EFDD, Italy) stressed the horrible suffering the Kobane people were going through and said that international community had been looking away. It had been too passive towards this humanitarian disaster and it would be hypocritical to deny it. Tuesday evening 21 October a conference was held in De Balie at Amsterdam during which two female representatives of Rojava informed our large audience in the presence of live TV about the peaceful revolution in the three Kurdish cantons of their autonomous republic. It became clear to us that its armed forces don’t represent “a terrorist organization like IS” as Mr. Erdogan wants to consider and publicly call these peshmerga’s as we are used to consider and call them in the Netherlands. Among the audience the foremost request was that the status of terrorist organization should not be applied by the governments of EU and USA to the purely defensive forces of Rojava which now fight in Kobani. Also the wish was uttered that Turkey should be questioned by NATO about its position as a rather doubtful member in this respect with its effective support for IS against the Kurds in Syria.